However, using a metal clamp as the termination method has disadvantages. Heavy and bulky, it is possible the cumbersome clamp could catch your sail – or possibly even tear it – in addition to being a real snag hazard for sheets and lines. What’s more, in our view the use of metal clamps, on a high-performance composite material, is archaic – and doesn’t align with upffront.com’s continued passion for lighter, faster, and safer sailing. Instead of a clamp, their progressive ‘S-Splice’ termination makes use of the simple, but highly effective, Chinese finger trap principle. Similar to the premise behind the Cousin Trestec Constrictor, the braided textile sock constricts, utilising friction, to keep the ends of the torsional rope in place around the thimbles. In addition to the textile sock, the cable’s Polyester and Dyneema covers are also glued with a special PU adhesive, ensuring maximum stability and durability. 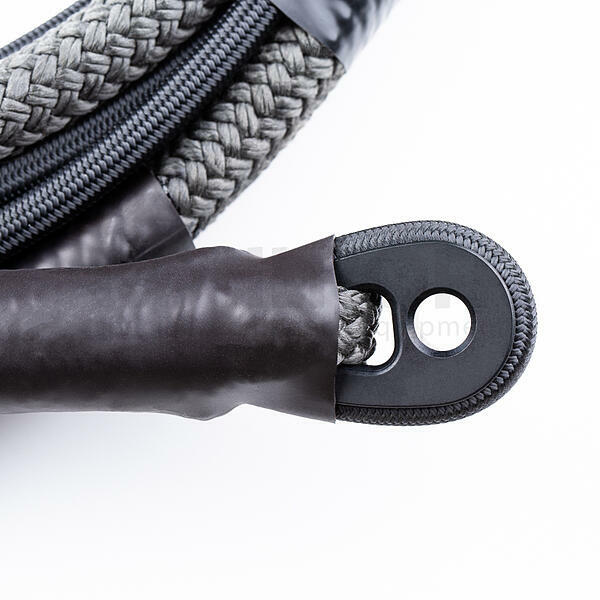 Benefits of this 'braided sock' termination method, in comparison to a metal clamps, include: lower profile, lightweight, flexible and soft – thus meaning it is kinder on the sails. Thinking of trying torsional rope out? 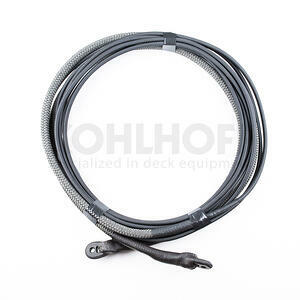 Get in touch with any queries at support@upffront.com, or shop torsional ropes here.